Sorry I can't finish translating that article with the video. Hit the wall and brain just refused to work. Heading to bed now and will do the translation and maybe 2 of them tomorrow. OMIIIIIIIIIIIIIIIIIIIII....................I just checked out another video and this is the first time I am hearing it. I am watching the video now and will come back to comment later. But the comment on baidu says that Joo Won did not take up the role as the 2nd lead in The Moon That Embrace The Sun because he was originally cast as the lead but then later was relegated to 2nd lead so he did not take up the offer. Well, all I can say is THANK GOD! Otherwise, we won't have the Bridal Mask that we know, right? mrdimples said: Joo Won interview on video, mentions BM and other stuff, hope we'll have the YT soon. please come there and contribute and/or learn more about this new drama...it's a romantic comedy as we always wanted! 139 new posts ???? just one more page and this thread will have 400 pages, I was kind of in silent lurker mode these past few days. so first things first, Joo Won already chose his new drama ???? can't he take at least two months rest ????? Gaksital made him really exhausted, why can't he go on a trip like he wanted ???? is it the agency ??? so many questions in my mind, but I hope he will take good care of himself, What about Pak Ki Woong ?? ?no new project ??? any news ??? I still can't let go of Gaksital, I can't find any drama that can match it, so I'm giving all my time to books. Jessi15 said: @sophiechoice I heard that PKW will be doing a movie, not a drama. 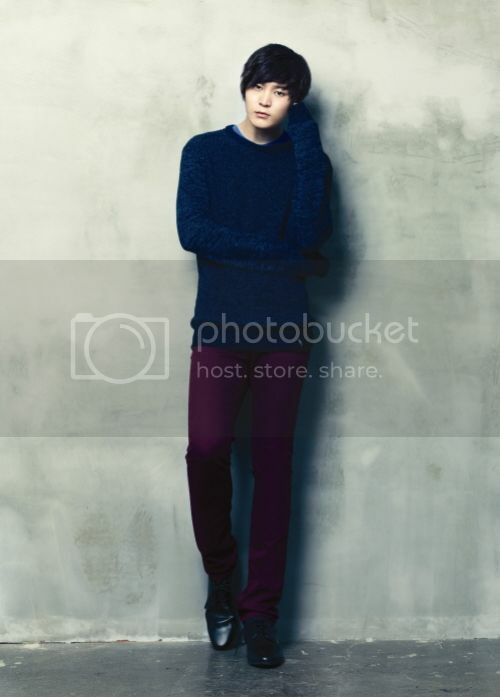 Advance Happy Birthday Joo Won!!!! All of us here at soompi's Joo Won/BM/Secret Lover thread Loves You!!! 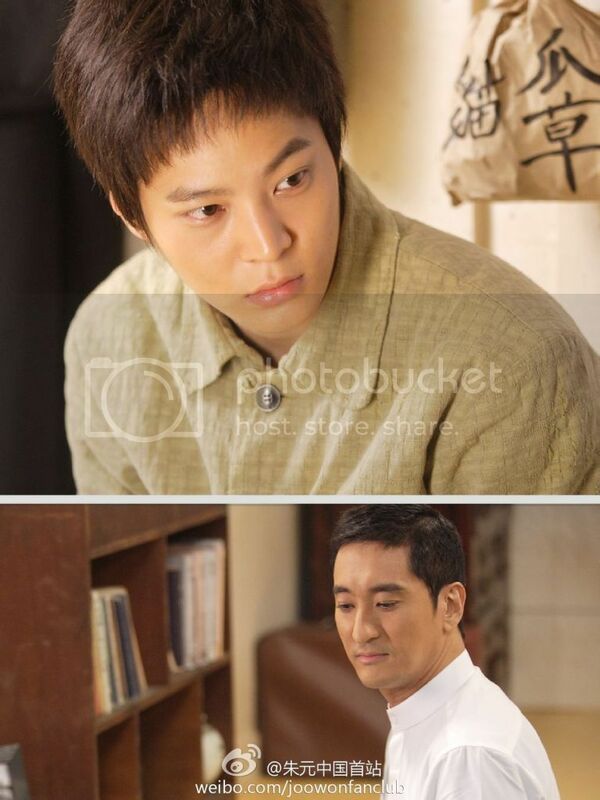 Joo Won debuted in 2010’s Baker King and following closely was Ojakgyo Brothers. 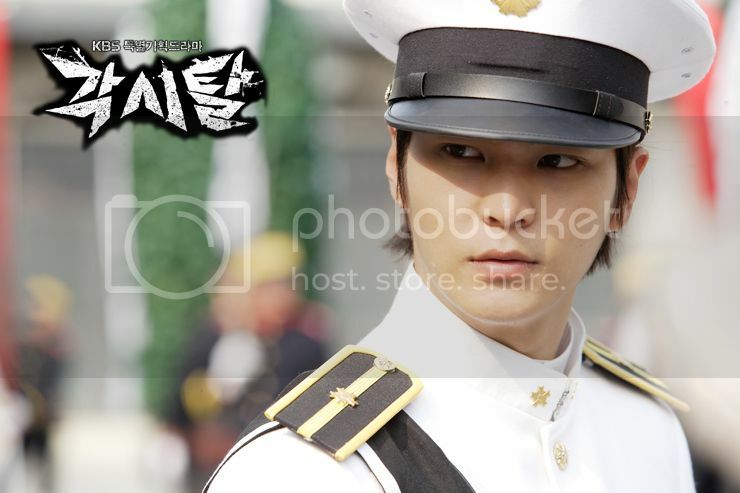 In KBS Bridal Mask, he has also become the charismatic lead who guarantees ratings. Not only in dramas. In Happy Sunday’s 1N2D, his aegyo maknae image has also won much popularity. In Seoul Yeouido Asia Today’s editing room, we meet with Joo Won. 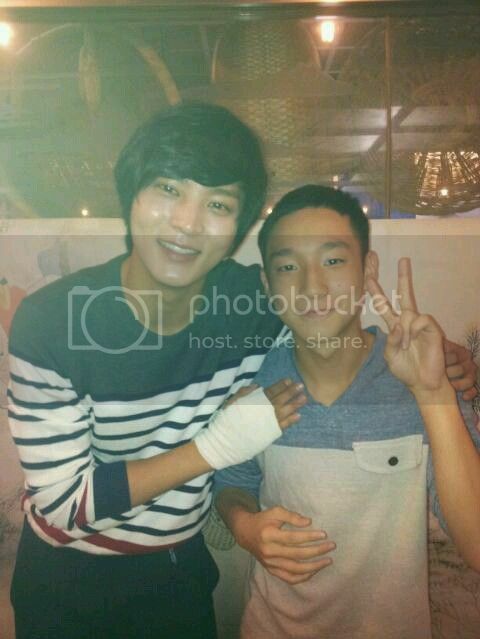 Although he looked a tad tired, we can still see the upright youthful image that he portrayed in the drama. 3 Hits all home run? He did very well in each and every drama that he starred in. “My luck is very good(laughs). After I discussed each drama with my agency then I made the decision. My attitude is not to have regrets in whatever you do, just put in my very best to do it, I will not think of anything else(laughs). Park Ki Woong said your growth as an actor is shocking. When I go to the film set, besides Park Ki Woong hyung, all the sunbaes were there. From them, I learnt a lot from their various strengths. I do feel that from this drama, I was able to grow. Do you feel that it is a heavy burden being Bridal Mask’s One Top? This production cost 100 million and it is perfect in every way. The only weak link is having me as the lead. So the burden felt very heavy, I thought if everything was good then if it turned out bad, it is all my fault. I didn’t sleep well and mentally I became highly strung, among other things, I also became very sensitive. Every day I will check the ratings. Perhaps this is the responsibility of the lead actor. Through Bridal Mask and 1N2D, set the image of Patriotic Youth. “This is a title that makes one feel embarrassed. If I had done anything for my country then I may be able to accept it but I only starred in these two projects and I received such a title. I only saw the magnificence of Bridal Mask that’s why I made the decision. I only learnt of other actors’ reasons for rejection during the press conference. It was something I never thought of. I am definitely not the type who will speak first(laughs). I will not talk continuously. When I am with my friends, I am the one who listens. If friends have anything that upsets them, they will look for me. I am this type of person. But occasionally I will play aegyo. Recently on 1N2D, I often play aegyo wth the hyungs. Seung Woo Hyung is 87th batch and I was born in 87. Being friends like this, Seung Woo hyung was also able to accept. He always cares for me and I am very grateful to me. It’s not because the camera is rolling, that’s why we are like this. 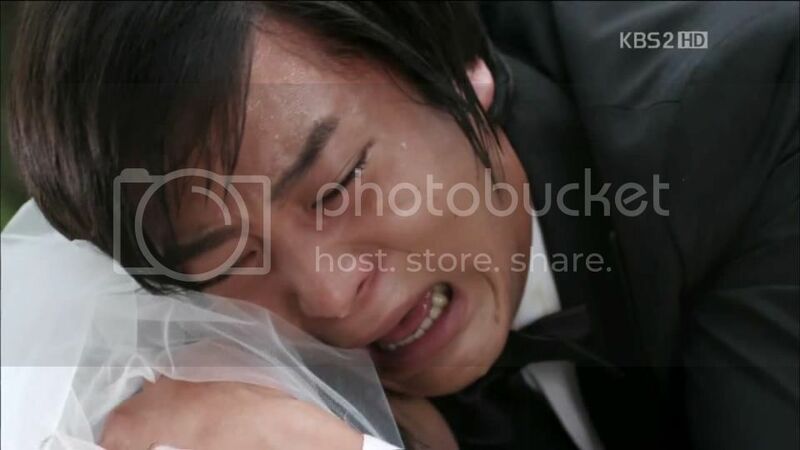 Acting in both Bridal Mask and 1N2D at the same time, wasn’t it tiring? Not tired(laughs). Although in Bridal Mask filming, I could sleep during the travelling, if my luck is good in 1N2D, I will be able to sleep for a much longer time and also I will be able to eat a lot of delicious food. 1N2D was like going on a holiday, travelling with people you are close to and having rest. What do the Hyungs in 1N2D mean to you? Who gave the most advice? What you will like to do in your next project? note: LTE stands for Long Term Evolution. It is a technology that is being adopted for the next generation of high-speed networks. Little Kangto and Little Big Kangto. Who Is More Cute? There are some more countries people had been telling me they came from, but unfortunately I don't know your city so I can't really find the time conversion for you. If you want to watch it live, please go to this URL for a conversion of your time. Some of the times are so extreme. Please do not watch it if it conflicts with your sleeping time! I think mine is good enough that it hits before my bed time except I'm not even sure if I can handle 8 hours of watching. I think I can handle watching a bit. But I'm really hoping that there will be a version that we can download. Sorry didn't get a chance to PM semifly yet. Happy Four Hundred Pages, Gaksital lovers! I want to echo both @valinor500 & @Jessi15 and say: Bridal Mask Forever! @sunshine4ever, thx a lot for the link. I really want to watch it, but I dunno whether I'll be able to or not (. I hate this (. Tomorrow will be the DATE. We have double celebrations, JW's birthday and BM will be rebroadcasted with 480 minutes of director's cut special. I don't know why I feel a bit emotional so I thought I should make a small contribution as we retreat down the memory lane. The following pictures are not mine and I can't pinpoint to whom they should be credited to as they have been collected from various sources. Because I don't have a vast and rich collections therefore I have to make do with what I got. I'm glad this page has reached 400 pages..Gaksital hwaiting! !